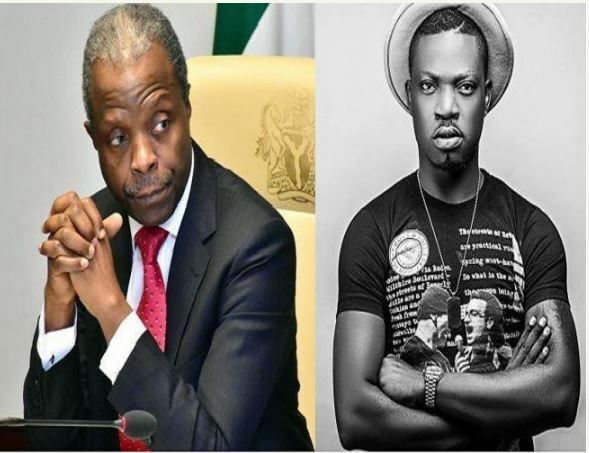 Ace Nigerian music producer, K-Solo took to Twitter to slam Vice President Yemi Osinbajo, over the masked Directorate of State Security men blocking the National assembly gate. He tweeted; "VP @ProfOsinbajo history will not be kind to you for being part of this nonsense. 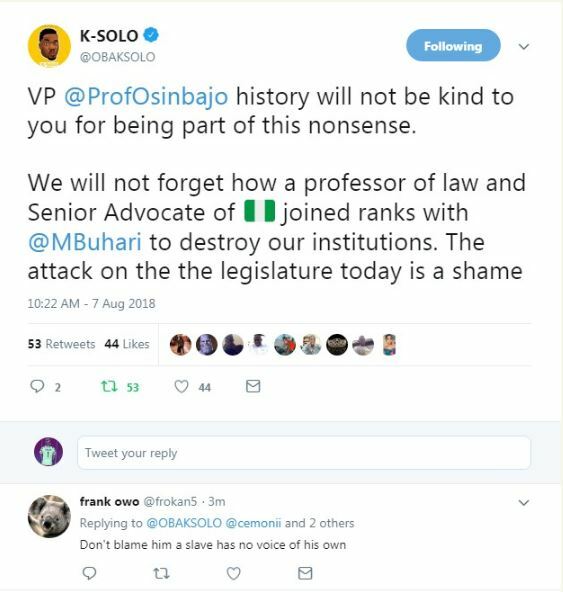 We will not forget how a professor of law and Senior Advocate of Nigeria joined ranks with @MBuhari to destroy our institutions. The attack on the the legislature today is a shame". Rumours have been circulating that the Presidency sanctioned the siege laid by the federal agents at the National Assembly gate. This action has been widely condemned and described as an attack on democracy in Nigeria.